Heard of a band called The Twigs? Us neither. But they're the band at the centre of an ongoing legal tussle over FKA twigs' name. If the cheesy Chicago pop duo succeed, FKA twigs could be forced to change her name. For the second time. FKA twigs – real name Tahliah Barnett – performed as Twigs until April 2014. But Laura and Linda Good, the two sisters in The Twigs, had trademarked their band's name, and duly filed a lawsuit against Twigs. According to Billboard, Twigs emailed the Goods and offered them $15,000 if they allowed their musical monikers to co-exist. The Goods turned her down. Even though Barnett then added "FKA" to her name (it stands for "formerly known as"), the Goods still sought a temporary restraining order against her. A judge denied the restraining order, though the lawsuit was later withdrawn without prejudice – which means that The Twigs reserve the right to sue again. FKA twigs and her label, Beggars Group, told the judge: "Bands have routinely used derivative names in order to avoid consumer confusion. Dinosaur became Dinosaur Jr., Blink became Blink-182... 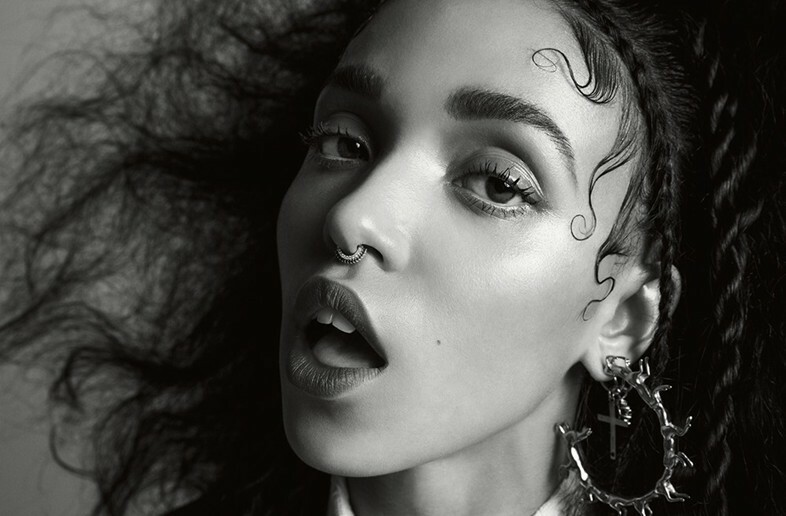 Here, FKA Twigs is clearly and easily distinguishable from The Twigs." But the Good sisters aren't so easily placated. "We have not agreed to this distinction," Laura Good told Billboard. "Since September 2013, (FKA twigs) has been on notice of her willful trademark violation." In other words, see you in court. So if FKA twigs has to give up her name, what could she go with? In her cover interview with Dazed in 2014, she said: "I was actually gonna be AFK twigs, but then somebody said to me, ‘that stands for ‘Away From Keyboard’, and I was like ‘Oh my God! Away From Keyboard twigs?’ I know I’m aloof, but that’s pushing it a bit too far! I just swapped around two of the letters to FKA twigs." "And I was pretty annoyed about that anyway, but I got used to it. I didn’t realise that FKA stood for ‘formerly known as’. And then The Twigs said that because I’m saying ‘formerly known as twigs’, that means that once I was called ‘twigs’, and so I can’t be called twigs now. The only way I won’t have to change my name is if they say that I don’t have to. And they’re not gonna say that. I’m not angry, but I do feel sad about it. It’ll be fine. I might call myself FKA tree trunk. Or FKA baby branches. Or IRL twigs."